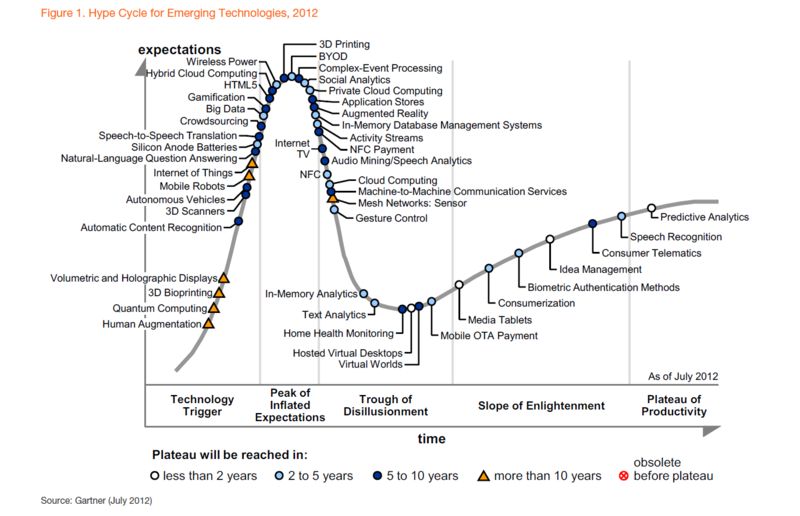 Research firm Gartner identified NFC payments as one of the fastest moving technologies in its 2012 Emerging Technologies Hype Cycle, an annual report that assesses the maturity, business benefit and future direction of numerous high-impact technologies. 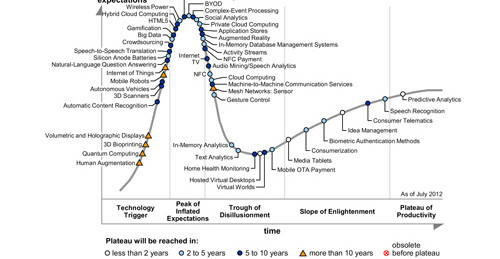 In last year’s Hype Cycle, Gartner placed NFC payments at the very peak of the “Inflated Expectations” curve–occupied now by Bring Your Own Device. 2012 finds NFC “moving noticeably” along the curve, followed closely by NFC payments. However, the research firm expects NFC payments to be five to 10 years away from mainstream adoption, i.e. the “Plateau of Productivity,” while NFC in general still has two to five years to go. In another scenario, “The Human Way to Interact With Technology,” Gartner points to NFC as a “stand out tipping point technology” for enabling people to interact “more naturally” with technology.